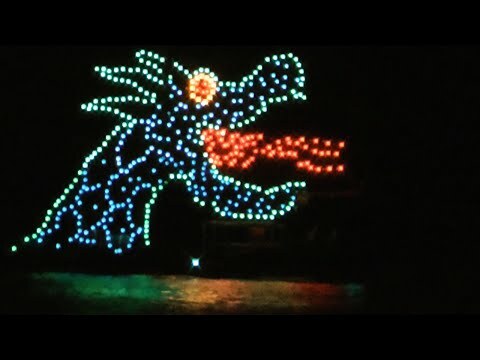 Walt Disney World is famous for its firework spectaculars, so it is not surprising that they take their already amazing displays up a notch for the Fourth of July. But fireworks aren't the only way you're able to celebrate at the parks. 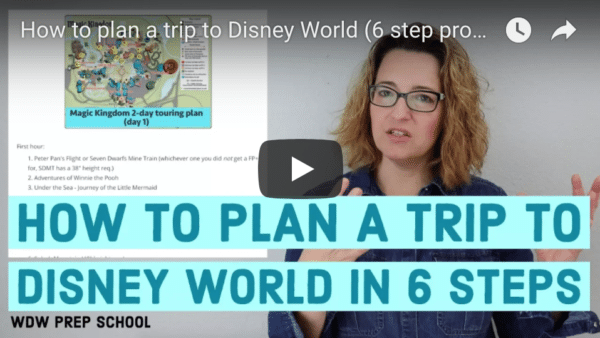 If you are lucky enough to find yourself traveling to Disney World for Independence Day, you'll have lots of ways to mark the holiday. Check out your options for the Fourth of July at Disney World below! Want to see the fireworks but don't want to battle the crowds? Woody's Roundup Barbecue Buffet at Disney's Contemporary Resort - New for 2019! The main event at Magic Kingdom will be the spectacular "Celebrate America! A Fourth of July Concert in the Sky" fireworks display. This display happens 2 nights (July 3 and July 4) and it begins at 9:15. There are lots of places outside the park where you can catch it. During special displays like this one, however, the resorts frequently restrict beach access to resort guests so your best bet is to watch from the Transportation and Ticket Center dock. Don't let the fun stop with the fireworks! You'll also find special dance parties located in both Frontierland and Tomorrowland. These parties are always a lot of fun for all ages. Liberty Square is a permanent part of Magic Kingdom, but it has special appeal during the Fourth of July. There you can catch a showing of The Muppets Present...Great Moments in American History, check out the reproduction of the Liberty Bell (which was cast from the same mold as the original Liberty Bell in Philadelphia), visit the Hall of Presidents, or take in a meal at Liberty Tree Tavern (reservations needed). So, although this attraction is available year round, you can see why it has special significance on certain holidays, like Independence Day. It's just kind of fun to take a look back at the storybook versions of how families celebrated. Plus, it's also a great place to cool off while you're waiting for the nighttime show! Illuminations: Reflections of Earth is the signature nighttime show for Epcot and for select holidays during the year, a special ending is often added to enhance this already inspiring display. Illuninations will have a special red, white, and blue patriotic finale on July 4. This show starts at 9 pm. Voices of Liberty a cappella group entertains guests daily in the American Adventure Rotunda, but for the Fourth of July they take their show outside to the larger American Gardens Theatre. 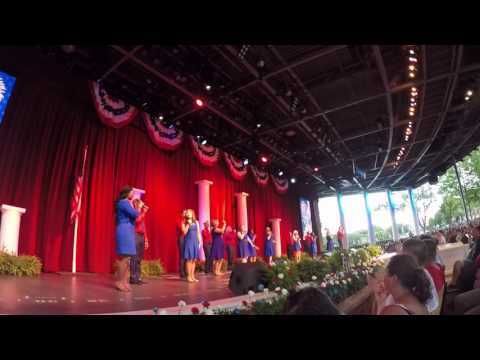 Voices of Liberty is one of our favorite acts in all of Epcot, and listening to their renditions of traditional Americana songs is a perfect way to spend some time in the World Showcase. You can check out their outdoor shows on July 4 at 5:30, 6:45, and 8:00 pm. On July 4 you'll find Disney Characters dressed up in their fancy Independence Day costumes greeting guests at The American Adventure. 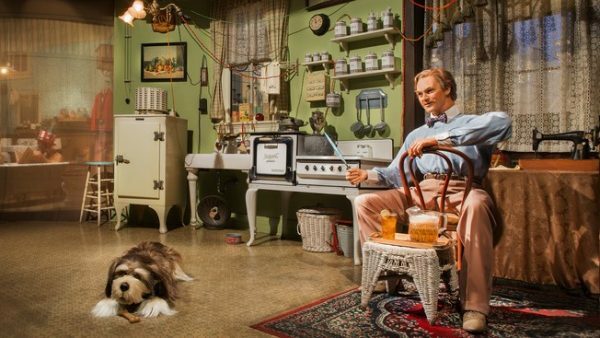 Located inside a large and elegant theater, this show combines audio-animatroinics, film, and music to take guests on a 30-minute journey through American history. Covering key events from the landing of the Mayflower, to the signing of the Declaration of Independence, to the Great Depression, guests are treated to a dramatic re-telling of the American story. The American Adventure is a permanent show in Epcot, but the history told here is especially fitting for the Fourth of July. If you're looking for fireworks that are a little less traditional, you can find that over at Hollywood Studios. Even though there aren't any special additions or finales, the nightly Star Wars: A Galactic Spectacular will be shown. This popular show transports guests on an interstellar journey as they watch the Star Wars saga play out in fireworks, lasers, and larger-than-life projections. So while it isn't very Fourth of July-ish, it is a fun nighttime show. And if you want to see fireworks but are looking for crowds that will likely be less than those at Epcot or Magic Kingdom, your best bet will be here. 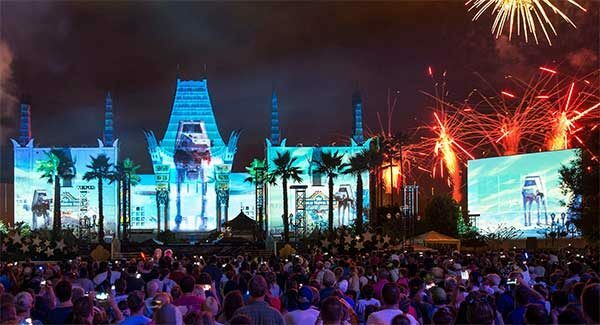 On July 4, Star Wars: A Galactic Spectacular will be shown at 10:00 p.m.
Ok, this isn't really a Fourth of July-themed attraction BUT Sam Eagle does put on one of heck of "A Salute to All Nations, (but Mostly America)" in the grand finale. 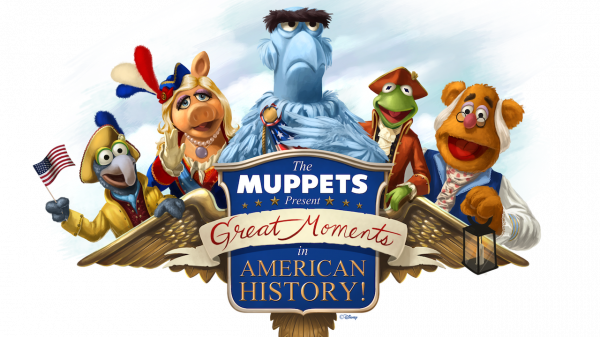 And, considering the Fourth is usually pretty hot, you'll probably want a place to cool off and catching a showing of Muppet Vision 3D is a great way to do just that. 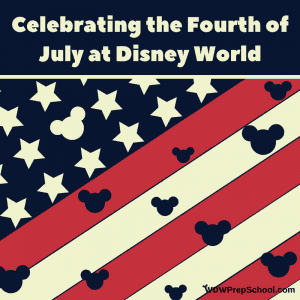 This is another thing that happens year-round at Walt Disney World but the nostalgia of the parade and its patriotic score make it especially fitting for the Fourth of July. Join Woody and the gang for games, crafts, and lots of barbecue goodness. Available nightly July 4 - 6th, guests of all ages are invited for some "rollickin' good times". Music (provided by everybody's favorite Mr. 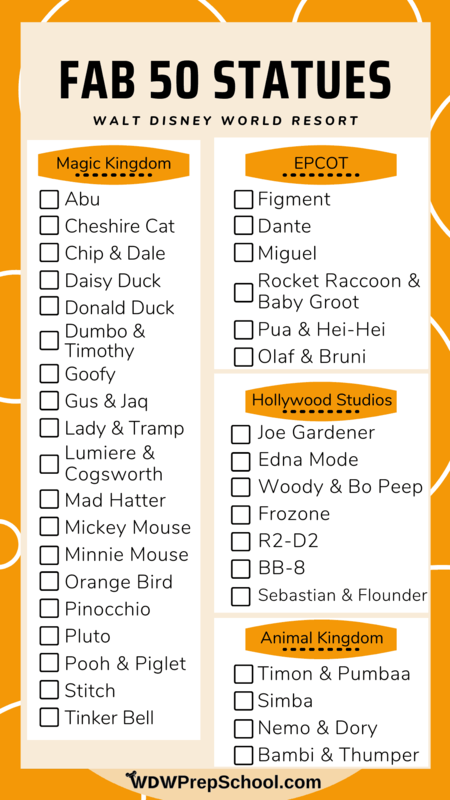 Microphone) will fill the space as guests have fun in the larger-than-life playset with some of your favorite characters like Jessie, Bullseye, Buzz Lightyear and of course, Woody. And, as the night falls they'll be invited outside to view the fireworks (July 4th fireworks will be the special "Celebrate America - a Fourth of July Concert in the Sky while the fireworks on the July 5 and 6 will be "Happily Ever After"). Note: the check-in for the celebration will begin at 5:45 PM at the West Registration Counter in the Convention Center at Disney’s Contemporary Resort. Disney's Fort Wilderness is one of the best places to spend most holidays - including the Fourth of July! Magic Kingdom has been known to close because of crowds on the Fourth of July. If your plan is to be in that park, you'll want to arrive early and plan to remain there all day. Try to watch the fireworks at Magic Kingdom on July 3 instead of July 4. The crowds will be slightly lighter and that frees you up to watch Illuminations (with the special patriotic finale) on the Fourth of July. The fireworks at Magic Kingdom are extremely popular so if you have a large group or you are particular about your view, you'll want to snag a spot early (at least 60-90 minutes before they start). July at Disney World is very hot and humid and afternoon storms are common. Be sure you plan ahead so you can handle the weather. Hydrate. Hydrate. Hydrate. And use sunblock. Pack your patience. Heat + crowds at Disney World can lead to short tempers. If you don't have reservations for meals, try to eat counter service meals during off-peak times. We recommend lunch by 11 and dinner by 4:30 to avoid the heaviest of crowds. 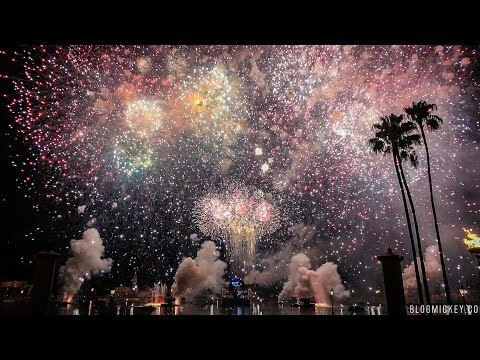 Do you have plans to spend the Fourth of July at Disney World? Let us know in the comments. i am arriving on july 4 at 9:30 am, approx. getting at PO french quarter and eating lunch around 11-12, then we have ADR reservations at MK and fastpasses as well, starting 1:50-2:50. if we arrive in MK from 2-2:30, do you think we will be allowed in with park closures? we’re using WDW transportation as well. what else can we do to make sure we get into the park, as we still do want to eat at french quarter for lunch, as were only staying there for one night. i’ve also read stage 4 park closures haven’t happened on july 4 since many many years ago. please help!!! We will be there this year and are so excited!!! I am looking forward to seeing the fireworks and staying at the Beach Club resort! It will be amazing!! !